You better watch out, you better not cry, you better not pout I’m telling you why, Volition has deliciously vulgar Christmas packs, for you! 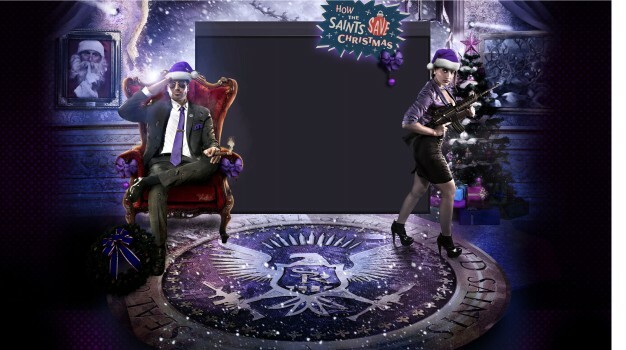 Volition announced they are launching a new Saints DLC aptly titled “How the Saints Save Christmas“, including two holiday themed activities. - “How the Saints Save Christmas” DLC, Santa is stuck in a simulation and the Third Street Saints Boss receives help from his crew to create holiday spirit to save Santa. - Volition’s Naughty or Nice List, found on the Saints website, help redeem the Volition developers from being naughty this year and pitch an idea to get them on the nice list. Great ideas can get filmed in a way only Volition can do. - Saints Sing-Along Christmas Carol, send a video of yourself and or your friends singing the lyrics to “Saints Row Jingle Bells“. The winner will be featured in a Saints Row video message and have the possibility of winning a Saints Row IV guide, Razar DeathAdder Ergonomic Mouse, Limited Edition G3 Saints Row Unbreakable Sun Glasses or Gioteck EX-05 Headset. Submission deadline is December 5th, 2013. “How the Saints Save Christmas” will drop December 11th, 2013 for $6.99. The Naughty and Nice list as well as the Saints Row Jingle Bells Christmas Carol are available now.